Couple Days This Week Looking Good. Air temps Thursday near 50.. Opening December Sea Bass Trips By Announcement Only. On Facebook these days too.. ARRIVE 1/2 HOUR EARLY! We'll want an early start. Pretty rare for me to get home on time..
Benelli Shotgun Raffle for the Reef Foundation went to Mike J of Slatersville, PA.. "Nooo, you're kidding me! I never win anything!" 2018 Reef Raffle!! Benelli USA has indicated they'll donate another spectacular shotgun! This Bill FIGHTS BAD RECREATIONAL CATCH DATA!!! Support the Modern Fish Act.. Since my last we've had 3 boat limits of sea bass, two great days with some limits, & a disastrous clunker with far more dogfish thrown back than sea bass kept. I look for continued good 'harvest' fishing for sea bass. Seems like that's what it is this time of year. 'Putting up fish' fishin.. Mid-May's a long way off. It might be that our Mid-May sea bass opening becomes just a memory. We still have Nov/Dec recreational catch estimates to go. There could easily be a statistical flyer in there that takes our "Already Over Quota" situation into the stratosphere. 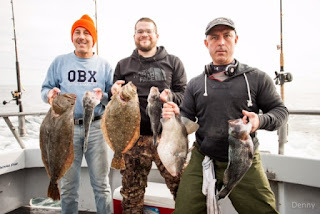 Yes, owing mostly to NJ Private Boat anglers catching 97% (or so) of that state's sea bass in May/June (leaving Party/Charter with 3% of the sea bass landed..) We are already over our 2017 recreational quota. 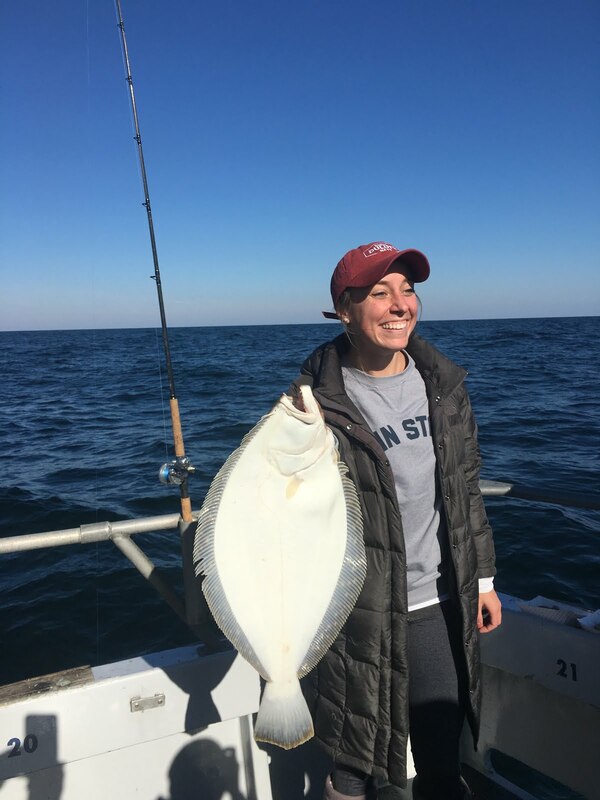 Any fishery from Texas to Maine that relies on MRIP recreational catch estimates to determine whether rec fishers have over-harvested or not; could, at any release of a new two-month period of catch estimates, suddenly be closed. The data is so bad that a large shore catch of sea bass in NY, CT, & RI -regardless it never happened- could close the coast from Maine to Cape Hatteras. In the 'bad old days' we'd take over 100 sea bass per-person this time of year. High man with 200 wasn't unusual. When I began the 9 inch size limit in 1992 those numbers dropped, but not like a rock. High man might still have had 100. 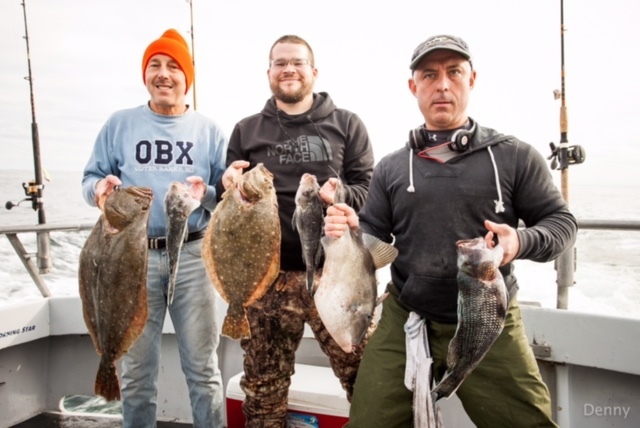 When we'd resume fishing the next spring, we'd find more sea bass than the year before. It stayed on that trajectory until 2001 or so. Because I used to run the OC Princess (boat's now down in Skip Feller's fleet out of VA Beach) I can assert, with a higher number of passengers on the 90 footer, that we would take more cbass in one day back then than what it might take nearly 30 days to catch with current regs on my boat now. But super-sharp-eyed management is watching MRIP reported landings for overfishing. Last year, as I've noted before, MRIP has over fifty thousand pounds of sea bass landings coming from Maryland's shores. Not Private Boats, not Party/Charter (where the real catch is) - but from Shore where there is no catch at all. I wrote my Congressman once, a one term fellow. He replied, "Sea bass are not an important recreational fishery in Maryland." Looking at MRIP's deceased cousin, MuRFSS, he'd be exactly right to think that. Stalled for nearly 20 years & wholly ineffective, the New England Fishery Management Council's habitat amendment would, literally, require a hand truck to pick up and move -- it's monstrous. Now the Mid-Atlantic Fishery Management Council is heading toward a similar amendment. To avoid regulatory failure we need not discover every little type of life & how it interacts with fish we enjoy catching. To have a positive affect on fisheries spawning productions we must simply figure out what's missing & put it back. Was it stalled on purpose? Did fisheries that would be impacted by habitat regulation stall & stall the NEFMC effort? I do not know. In the Mid-Atlantic, quotas are already divided. If we learn how to increase spawning productions, everyone benefits. For some species it's as easy as throwing concrete blocks off the back of a boat. ..except Man of War Shoals in the Chesapeake. That robust hardbottom survived somewhat intact. But now, after years & years & years of attempts, they've secured a permit to dredge the ancient oyster shell to help grow new, nicely marketable, oysters. It's very much like a trout stamp where the truck backs up to a mud puddle & out spills a fishery.. Except there's no "oyster stamp" required for participants. I asked a life-long oyster restorationist with the Chesapeake Bay Foundation if, given recent successes, we knew how to fully restore oysters to the Bay. Rocks as substrate -- Reef Grows. Shell as substrate -- Checkbooks Grow. One restores biofiltration and creates vast stretches of spawning habitat. The other has been used since about the Civil War with no headway whatever in restoring a spawning population of oysters. We have only to roll up our sleeves & get busy building reef that works. Just that, just oyster restoration, will be enough to put white marlin back on the Jackspot..
Man of War Shoals almost survived the era of ignorance in industrial fishing. With fewer & fewer breaks in the weather, we'll sneak a few more sea bass trips in before New Years Day (trips announced above) ..then it's on to winter toggin.